The UniCard is your official student ID card in the form of a multi-functional chip card. From winter semester 2018/19 on, students and matriculated doctoral students also at the Landau campus will be issued with the card. The UniCard replaces the previous student ID card and will need to be presented to enable you to sit exams and participate in university elections - as previously in the case of your old student ID card. You can also use it as a payment card in the canteen and in connection with other services offered by your Student Services. At the Koblenz Campus it also serves as semester ticket for public transport according to fare conditions of VRM. You can pick up your card after applying for it. We will require a passport photo for your card, which you can upload through this website. You will need your photo to use your students ID card, your semester ticket and your payment card for the Student Services. Please upload your passport photo as soon as possible, to make sure your card can be produced and handed out to you on time. You find further information on how to pick up your UniCard here. 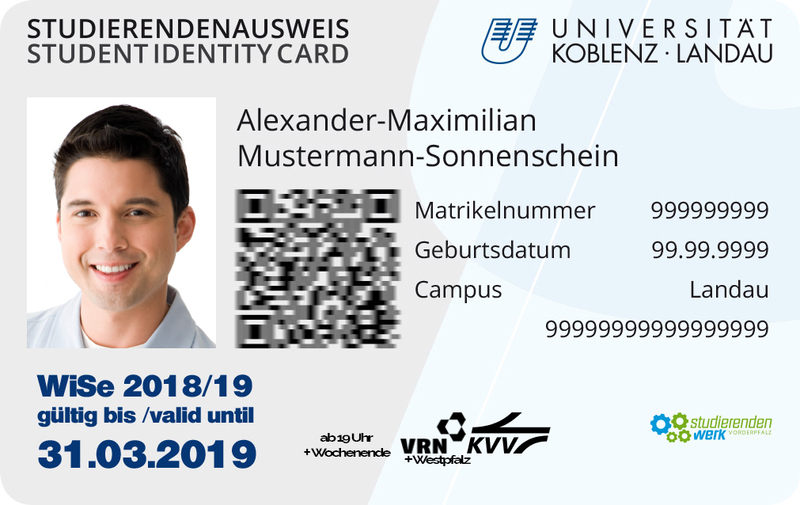 You can use your UniCard for the entire duration of your studies at the University of Koblenz · Landau. 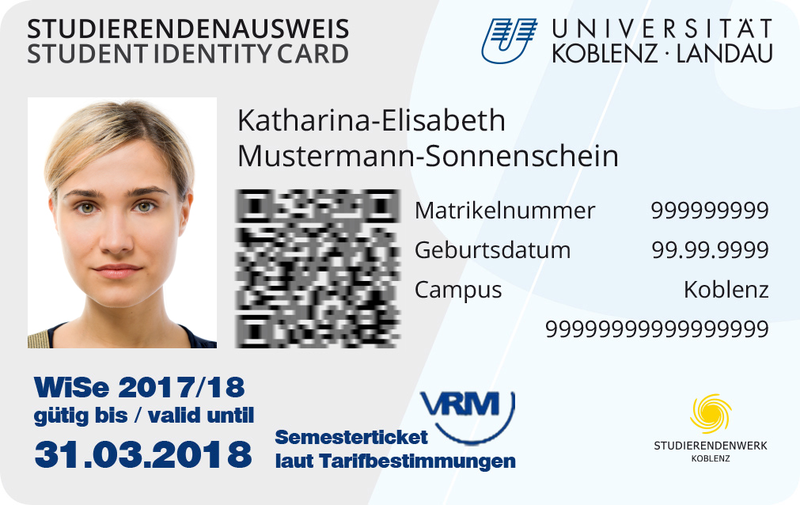 After picking up your card and at the start of every semester, the actual validity period of your card must be confirmed at one of the validation terminals. The fee for the first issue of your UniCard is €10. It is included in your matriculation fee. Thanks to sponsorship donations, we have been able to keep the fee at the low end of the legally stipulated cost range. If you lose your UniCard, please cancel it immediatly through this website and apply here online for a new card. A fee of €15 will be charged for the issue of a replacement card.